What do the study of the computational principles in living organisms, the end of the world, and a counterculture student-produced guide to the university all have in common? These subjects are all documented in the personal papers of electrical engineering professor Heinz von Foerster (1911-2002), whose work and laboratory at the University of Illinois transformed a generation of scientists, engineers, and humanists and the interdisciplinary approaches they employed to answer questions about behavior. “Heinz von Foerster and the Biological Computer Laboratory: A Cybernetics Odyssey”–a new exhibit in the University Archives, room 146–contains selections from the Heinz von Foerster Papers, the Biological Computer Laboratory Publications, and the Biological Computer Laboratory Contract and Conference File, which highlight the genesis and evolution of the Biological Computer Laboratory (BCL) as well as von Foerster’s cybernetics research and role as an educator. Photograph of Heinz Von Foerster (1911-2002) walking the streets of Munich, Germany, ca. 1940, found in record series 11/6/26, box 116. 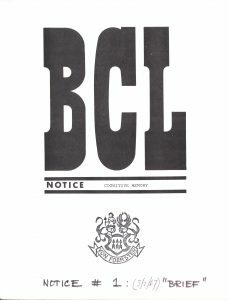 BCL Notice on Cognitive Memory, 1967, found in record series 11/6/17, box 8. Over nearly two decades the BCL created a unique interdisciplinary research space for cybernetics, drawing as diverse a group of scholars as the Macy Conferences, including anthropologist Margaret Mead and biologist Humberto Maturana. 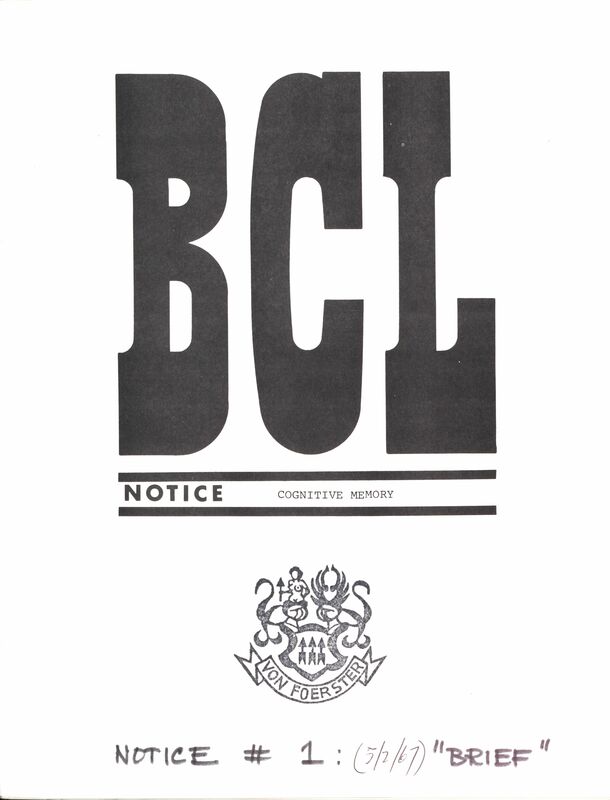 The BCL also organized conferences and was know for its prolific production of publications on cybernetics and cognitive science topics. 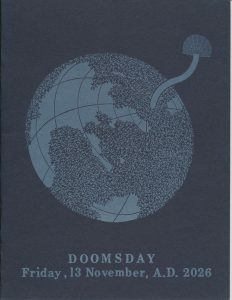 Cover of “Doomsday,” found in record series 11/6/26, box 63. 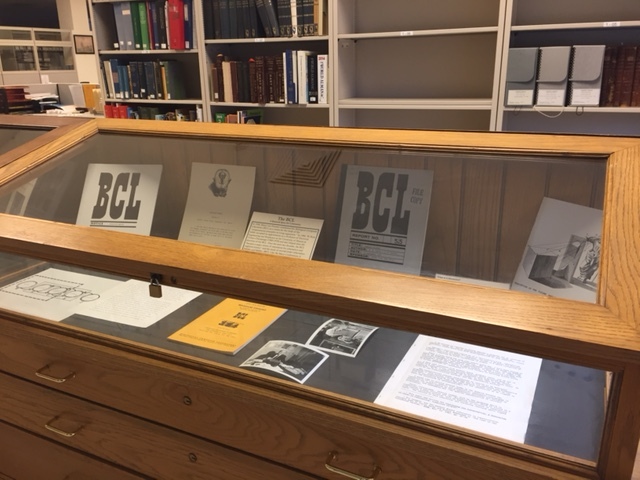 The items in this exhibit–including correspondence, photographs, news clippings, examples of the BCL publications, and von Foerster’s research notes–provide a glimpse into the unique context of the BCL and the dynamic intellect of Heinz von Foerster. 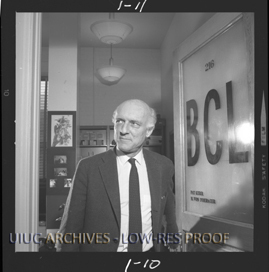 Specifically, these materials relate to von Foerster’s participation in the Macy Conferences, the activities of the BCL, and his work on cognitive memory and computation. The exhibit also highlights materials that document his writing of (and reactions to) his notorious article “Doomsday,” which came out of his research on population studies; von Foerster and his colleagues concluded that the world would officially end on November 13, 2026, when the world would become so overpopulated that life would be unsustainable. Additional materials illustrate von Foerster’s role as an educator and the engagement of students in cybernetics ideas, including the student-produced counterculture publication The Whole University Catalog (1969) and Metagames (1972), which explored concepts of cognition and human cooperation through the creation of experimental games. Intrigued? Visit room 146 (University Archives) in the Main Library to find out more! The exhibit runs from December 2, 2016 through January 31, 2017. Exhibit case documenting the activity of the BCL. For an example list of participants, see Transactions of the Seventh-Ninth Conference, Josiah Macy Jr. Foundation: New York, 1950-53, Box 94, Record Series 11/6/26, Heinz von Foerster Papers, University of Illinois Archives. Heinz von Foerster to Margaret Wiener, July 10, 1986, Box 34, Record Series 11/6/26, Heinz von Foerster Papers, University of Illinois Archives. 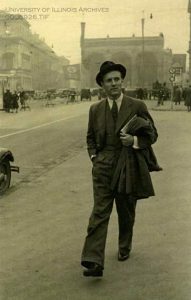 Heinz von Foerster, “Physics and Anthropology,” BCL Publication No. 111, Urbana, IL (1964): 330, Record Series 11/6/834, Biological Computer Laboratory Publications, University of Illinois Archives. 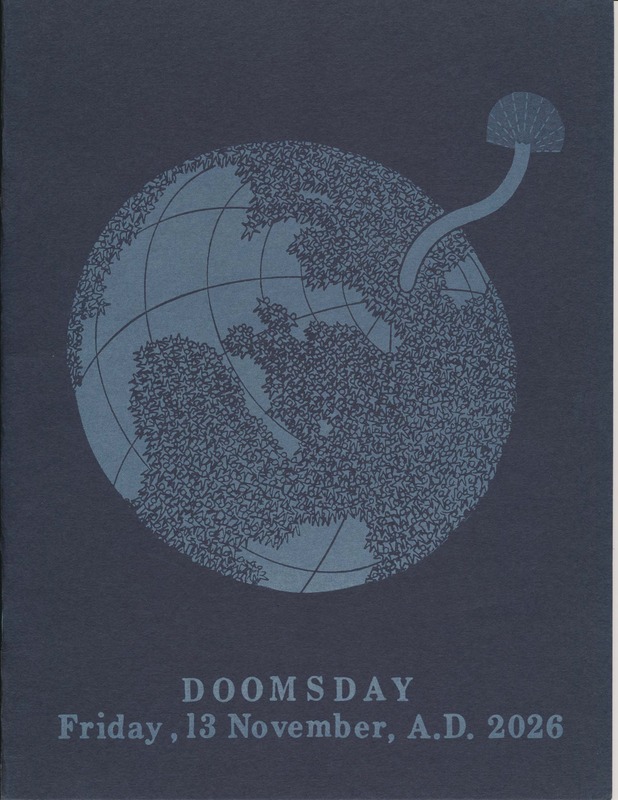 Heinz von Foerster, Patricia M. Mora, and Lawrence M. Amiot, “Doomsday,” BCL Publication 35, 57, 59, 85, Box 63, Record Series 11/6/26, Heinz von Foerster Papers, University of Illinois Archives.